The Bremerton Marina provides boaters with excellent moorage rates, state-of-the-art amenities and professional staff. Click here to request moorage at the marinas today! Customer service is our number one priority and our staff promptly responds to customer concerns and questions. Whether you are a permanent tenant or a visitor seeing the sights, we go out of our way to make your boating experience the best in the Puget Sound! 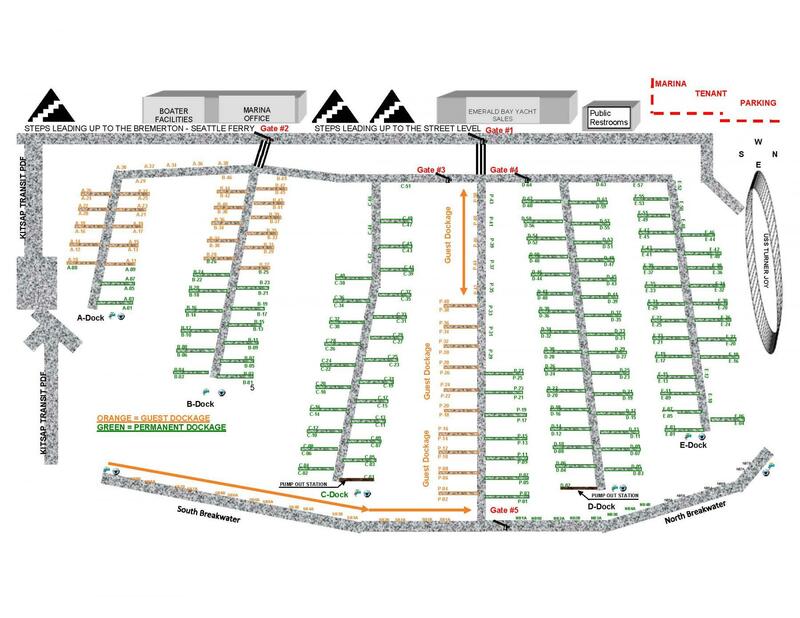 Click on the PDF below to view and download the marina map. The Bremerton Marina welcomes both permanent tenants and visitors. We offer month-to-month affordable moorage rates as well as tenant incentives for live-aboard tenants and excellent rates for visitors passing through. If you are planning a visit to Bremerton Marina, please make your reservation in advance. Our friendly staff will also assist with your lines, but please call ahead to the marina office or hail us on vhf 66a to assist you with line handling. Should you need repairs or fuel, our full-service repair yards and fuel dock are located just 1.5 miles away at our Port Orchard Marina. Let us plan your next rendezvous! We will plan your next rendezvous for you, whether it be beer or wine tasting, or a more formal gathering at the Kitsap Conference Center (located within a few feet of the Bremerton Marina). Let our experienced staff help you and your group enjoy all there is to offer in Kitsap peninsula.